How would you react if one day, completely out of the blue, your husband told you he wanted to go into ministry? What’s it like when the man you married is married to God? These are the questions the women must answer in Pastors’ Wives (Plume/April 30, 2013/ISBN 978-0452298828/$16.00), the debut novel from Lisa Takeuchi Cullen. Pastors’ Wives tells the story of three women whose lives converge and intertwine at a Southern evangelical megachurch and is set in a world that most of us know only from the outside. Cullen passionately portrays the private lives of pastors’ wives, caught between the consuming demands of faith, marriage, duty and love. Ruthie follows her Wall Street husband from New York to Magnolia, a suburb of Atlanta, when he hears a calling to serve at a megachurch called Greenleaf. Reeling from the death of her mother, Ruthie suffers a crisis of faith—in God, in her marriage and in herself. Candace is Greenleaf’s “First Lady,” a force of nature who’ll stop at nothing to protect her church and her charismatic husband. Ginger, married to Candace’s son, struggles to play dutiful wife and mother while burying her calamitous past. When their lives collide during a fateful event that threatens the survival of all that is precious to them, each will ask herself: What is the price of loving a man of God? Each will answer that question in a different way. Q: How did the idea for Pastors’ Wives come about? A: It all began when my editor at TIME magazine handed me a press release about a convention of pastors’ wives. The article I reported and wrote for TIME eventually turned into the inspiration for the book. Q: Why was the idea of a conference for pastors’ wives so intriguing to you? A: It was a world I knew nothing about. And then, when I began meeting and getting to know PWs, I was utterly captivated by their stories, their passion, the careful balancing act of their lives. Q: How much of Pastors’ Wives is based on women you actually met? A: Quite a few of the anecdotes and details are inspired by real people and their stories. I spent two years, on and off, reporting the subject. I attended a weekend retreat for pastors’ wives in Wisconsin and conferences in Florida. I spent a lot of time in churches, including megachurches. I interviewed dozens and dozens of PWs, read their books and their blogs, followed them on Facebook and Twitter. But no one character is based on any one person. If anything, all three of the main characters are on some level an extension of me—the me I wish I was, and the me I wish I wasn’t. Q: What is the most interesting thing you discovered in researching either the original article you wrote or the book? A: The most fascinating thing I learned, and I hope this does not make me sound like a complete dolt, is that pastors’ wives are not necessarily supportive of their husbands’ jobs. Of the calling and the faith—yes. Of the job and all its attendant annoyances—no. I had imagined the woman standing behind the man behind the podium was an infallible pillar of support. Instead, I learned the role of pastor’s wife can be a great test. Q: Tell us about the spiritual journey you embarked upon during the writing process. A: My mother died of cancer in 2008. Nine months later, my father died of a broken heart. My parents were the root of my Catholic faith. My father was a Catholic priest who left the priesthood to marry my mother but remained devout to his last day; my mother had converted from Buddhism before they married. The only thing stronger than their love for the church was their love for each other. When they died, I felt forsaken. Their deaths, along with the birth of my second daughter, forced me to reconcile my own faith. What did I believe? And why? Over the years I had grown increasingly disillusioned, and then outright disgusted, with the Catholic church—its protection of abusers, its disdain for women, its political stands. And yet I ached for its comforts and community. Writers have the incredible privilege of working out our issues in our stories, and that’s what I did. Ruthie, Candace and Ginger guided and accompanied me in my hour of need. I asked questions. They answered. Sometimes I leaned on one; sometimes on the other. On the surface, Ruthie’s journey mirrors mine most closely. But each of them taught me something and helped pull me through. Q: If you were in Ruthie’s situation — your husband was suddenly called into ministry — do you think you would react in the same way? A: Marriage is complicated, isn’t it? But I think the bottom line is that when you love someone, you want to support him and help make him happy. This, by the way, was the central question driving me in writing this novel. What’s it like when the man you married is married to God? How does that feel? What do you do? Different women deal differently, as we see with Ruthie, Candace and Ginger’s very different journeys. Q: Do you think megachurch pastors’ wives are often misunderstood? Do the stereotypes really fit the ones you have met? A: Oh, yes, I do think they are misunderstood. When they think of megachurch wives, many secular and non-Christian Americans imagine a Tammy Faye Bakker. In real life, the First Ladies I met were incredibly accomplished and impeccably mannered. They reminded me of politicians’ wives. More importantly, I think outsiders—and even many congregants!—just have absolutely no idea how hard all PWs work for their churches. No task is too big or too small. They minister, manage budgets, coordinate programs, keep track of holiday decorations, welcome new members, stock the bake sale...all while providing counsel to their pastor husbands. And they receive little credit. I challenge you to find a PW who is appreciated for all her labor. Q: Is there a spiritual message you hope readers walk away with after reading your book? A: I feel it’s not for me to impart a spiritual message. What I hope with all my heart is that readers might take a journey with Ruthie, Candace and Ginger. I hope they’ll spend time at Greenleaf Church, a world of faith and wealth and power and intrigue. I hope my characters’ stories might make them wonder, What would I do for love? Q: You have a background in journalism and have written for publications such as TIME. What made you decide to write a novel? A: I had a story I had to tell. That’s the only reason to go through the torture of writing a novel! Q: The release of Pastors’ Wives isn’t the only big thing you have going on right now. What can you tell us about your new TV pilot? A: We’re currently shooting my CBS pilot, The Ordained. It stars Charlie Cox, Sam Neill, Hope Davis, Audra McDonald and Jorge Garcia. It’s set in New York City. The Ordained is inspired by my father, a priest who left the priesthood in his mid-30s. In the case of the pilot, the main character is a member of a Kennedy-like political dynasty whose father is the former governor of New York and whose sister is the sitting mayor of New York City. One day, he takes a confession about a deadly plot against his sister. The seal of the confession prevents him from telling anyone about it. He re-enters civilian life to pursue the plot and the people behind it. I wrote The Ordained right after I finished Pastors’ Wives. Clearly, the subject of faith was still on my mind. In the case of my TV pilot, what inspired me was my father’s story: What’s it like to start your life over as a man in your mid-30s? Of course I wove in many more complications and higher stakes because it’s TV. But that’s the central question for me. My character is named Tom Reilly, after my Dad. You could say it’s my way of resurrecting him. I hope to do him proud. 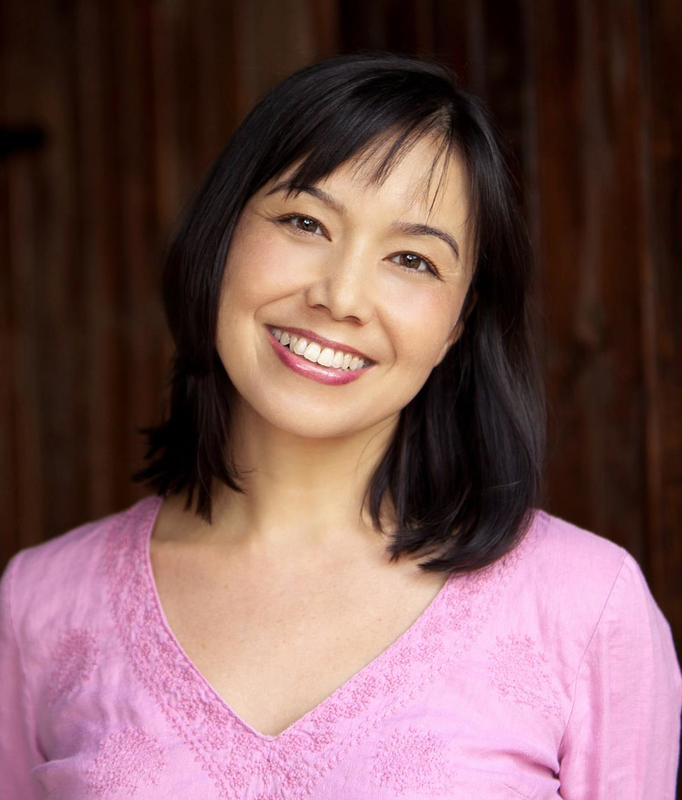 Learn more about Lisa Takeuchi Cullen and Pastors’ Wives at www.lisacullen.com. Readers can also friend Lisa on Facebook, become a fan on Lisa's Facebook author page (LisaTakeuchiCullen), or follow her on Twitter (@LisaCullen).